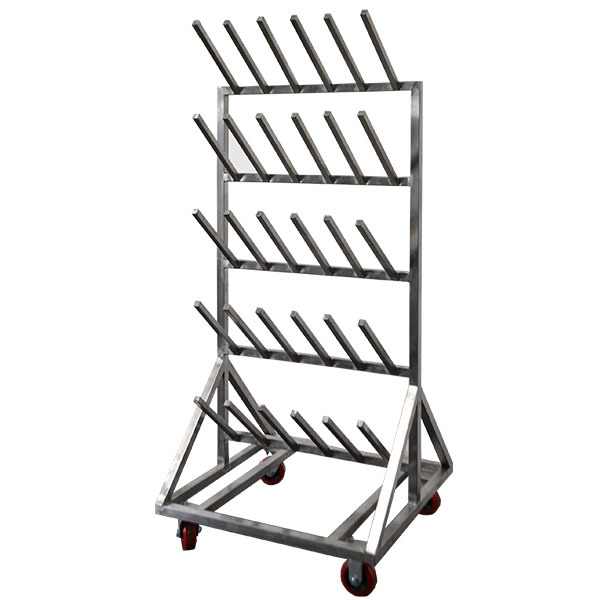 The company MPBS Industries offers 3 kinds of boot racks (15, 30, and 60). The boot rack 15 could fits 15 pair of boots with 3 pair per row. 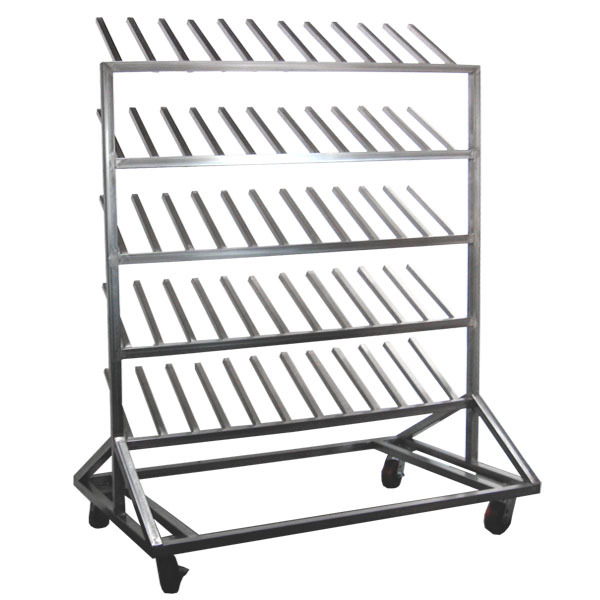 The 30 boot rack could fit 6 pair per row and the 60 boot rack could fit 12 per double sided row with 5 rows. Please feel free to contact our professional sales and service staff to answer any questions you have.